Canada’s residential housing markets posted a double-digit year-over-year aggregate house price increase, continuing its growth in the third quarter of 2016, according to the Royal LePage House Price Survey. British Columbia’s 15 per cent property transfer tax on foreign nationals and foreign-controlled corporations was introduced in August contributed to slower sales activity in the area, but data shows that it has had little direct impact on home prices there. Greater Vancouver home prices led the country in appreciation with year-over-year home prices increasing by 30.6 per cent in the third quarter. While Ontario may be contemplating a similar type of tax, over the same period house price increases in the Greater Toronto Area (GTA) also increased 13.6 per cent. 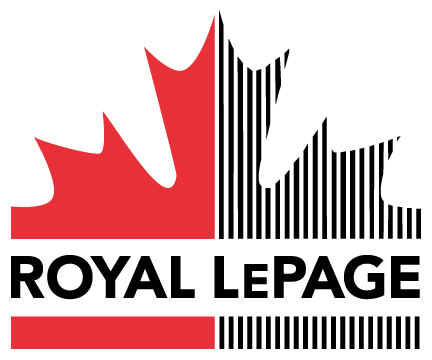 The Royal LePage National House Price Composite, compiled from property data in 53 of Canada’s largest real estate markets, showed that the price of a home in Canada increased 12 per cent year-over-year to $545,414 in the third quarter of 2016. The price of a two-storey home rose 13.7 per cent year-over-year to $649,635, and the price of a bungalow increased 11 per cent to $459,481. During the same period, the price of a condominium increased 5.8 per cent to $360,679. On October 3, 2016, Federal Finance Minister Bill Morneau announced new measures specifically designed to keep the country’s housing economy stable for the foreseeable future and control foreign buying activity. Although this happened at the beginning of the fourth quarter, Canadian homeowners, home buyers, and policy makers alike are waiting to see how this impacts the housing market as a whole. British Columbia’s economy is leading Canadian growth in 2016, further supporting the house price appreciation in the region. Within the Greater Vancouver business community, however, high housing costs are having a slightly negative impact on enterprises; business owners have noted that real estate costs are making it difficult to attract skilled employees to the region. New government taxation and regulations within the region have also introduced a great deal of uncertainty into the market, as purchasers have begun to take a wait-and-see approach, putting downward pressure on sales activity. While this did not significantly impact year-over-year home prices during the third quarter, it could very well result in a more balanced market moving forward, producing its intended effect. In the third quarter of 2016, Vancouver posted an aggregate year-over-year house price increase of 34.1 per cent to $1,464,507, while West Vancouver posted a year-over-year price increase of 39.6 per cent to $3,411,578. As house prices in Greater Vancouver continue to increase, buyers are migrating more and more to cities like Victoria and Kelowna, which showed year-over-year increases in aggregate house prices of 8.8 per cent to $537,228 and 10.9 per cent to $554,289 respectively. Housing markets in Alberta continue to be affected by the economic slump, and most economic forecasters watching the province predict that the provincial economy will contract by approximately two percentage points in 2016. If that comes to pass, it will be one of the most significant downturns in the province’s history. Although the drop in Alberta’s home prices has been noticeable, it’s not as pronounced as many people expected. And as the province slowly returns to business, the relative low cost of housing compared to other major centres may end up being an advantage, drawing people into the province. Aggregate house prices dropped slightly year-over-year in Calgary by 1.6 per cent to $457,044 and in Edmonton by 3.1 per cent to $374,712. Saskatchewan is similar to Alberta in that it is an energy-dependent province being hit by the downturn in the sector. Compared to September 2015, the province lost 6,500 jobs. Despite the traditionally negative effects of a poor economy on the housing market, the region’s home prices have remained relatively stable; aggregate house prices in Regina actually increased slightly year-over-year by 0.6 per cent to $332,540. Manitoba’s economy is strong and is expected to continue to expand through 2017. The aggregate price of a home in Winnipeg increased 2.3 per cent year-over-year to $291,426. The City of Winnipeg is forecasting strong population increases over the next few years, and as it is projected to exceed the one-million resident mark by 2035, the demand for housing Is expected to grow as a result. Second only to British Columbia, Ontario continues to be one of the fastest growing economies in Canada. In the Greater Toronto Area, house values continue to climb. Aggregate house prices in Toronto grew year-over-year by 12.1 per cent to $714,002. House prices in surrounding region Kitchener/Waterloo/Cambridge are also appreciating, posting a year-over-year increase in aggregate house price of 9.1 per cent to $371,474. Hamilton, which has come to be a haven for millennials, had year-over-year growth in its aggregate house price of 10.3 per cent to $419,830. The aggregate house price in Ottawa saw moderate year-over-year growth of 3.6 per cent to $411,654. Recent reports show that Quebec’s economy is ahead of its targets, and an unexpected budget surplus had led to plans to allocate additional spending to education, health care and economic development. Quebec has recently been showing solid job growth, attracting international interest from immigrants and tourists alike. These factors remained supportive of the residential housing sector in the third quarter, with the aggregate house price in the Greater Montreal Area increasing by 4.9 per cent year-over-year to $352,798. Atlantic Canada wasn’t as fortunate. As a result of challenges in the energy sector and the resulting economy, Newfoundland and Labrador’s “fly-in, fly-out” workforce that had been a substantial source of economic stability in the region saw fewer job prospects. Still, St. John’s was the only city studied in the Royal LePage Composite to decline in Atlantic Canada, with the aggregate home price dropping 3.2 per cent to $332,597 year-over-year. Moncton and Halifax showed slight year-over-year increases in aggregate house prices of 1.5 per cent to $182,529 and 0.8 per cent to $308,017, respectively. Similarly, aggregate house prices in Charlottetown and Fredericton increased year-over-year by 2.3 per cent to $224,219 and 2.9 per cent to $246,696, respectively.